Mark your Ladies Room with this Baby Changing Station/Women's Restroom Sign. ADA compliant with braille & raised lettering. Is your business in ADA compliance? We can provide the signage you need. 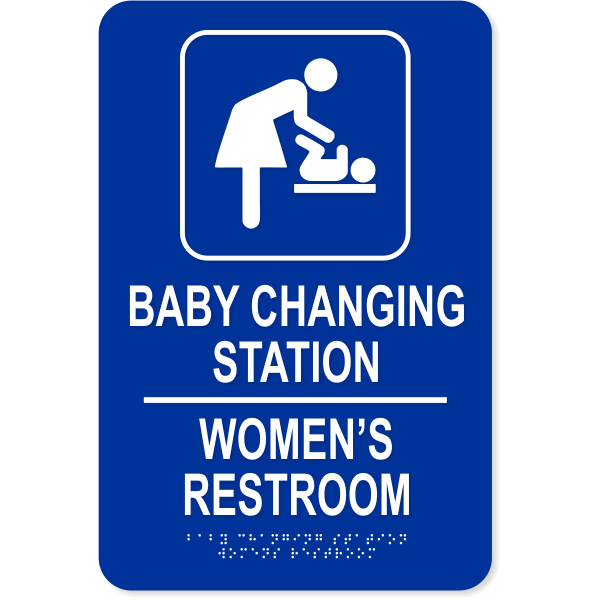 This 6” x 9” stock Baby Changing Station/Women's Room Sign includes raised letters and braille for the visually impaired. If your place of business or store offers a table for changing infants, be sure to post this baby changing station ADA sign that features raised lettering to help visually impaired guests find the appropriate area. This 6" x 9" sign is available in a number of color choices and has rounded corners for safety.